Definition: A form of alternative dispute resolution to resolve disputes outside of court. 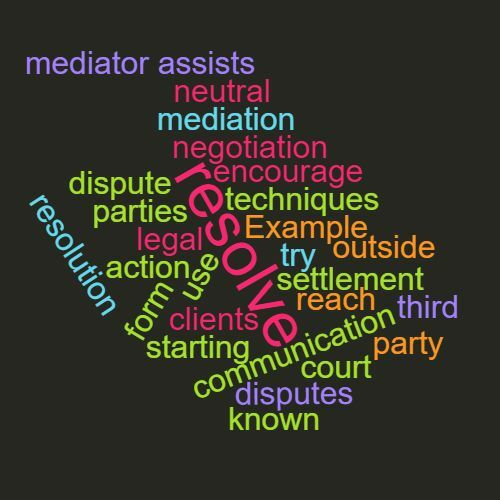 A neutral third party known as a mediator assists parties to resolve a conflict and reach a settlement through the use of communication and negotiation techniques. Example: We encourage our clients to try mediation before starting legal action. This word features in Episode 52 of the Study Legal English Podcast.